Time for another haul! In case you didn't know, I'm obsessed with false lashes. It's amazing how many more styles and types are available now a days. 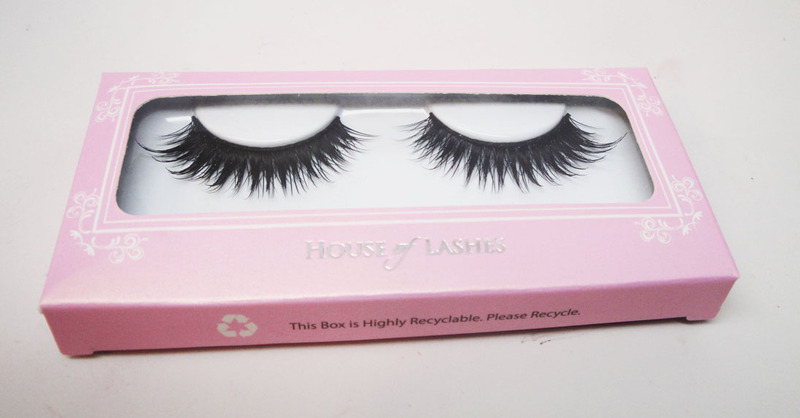 One of the hottest brands, House of Lashes, has been making a mark on Instagram. They recently had a Friends and Family sale so I decided to check them out! These products are available online at www.HouseofLashes.com I like that the website is easy to navigate and has real life pretty pictures of people wearing the lashes. That helps immensely. This mini lash tutorial is available on their site. I picked up two styles: Siren and Noir fairy. They conveniently come in multi-packs so that you can save a few extra bucks by buying in bulk. I picked up 3 of both styles. Up first - Siren. It retails for $9 a pop or $22 for a set of free. This price is pretty decent compared with some of the more expensive pairs on the site. Can we talk about the super cute girly packaging for a second? Adorbs! I appreciate the little things. The style itself is wispy with longer length in the middle to give a doll eyed effect. Again, I love that these aren't stock lashes. The styles are unique and a little special. Next up - Noir Fairy. 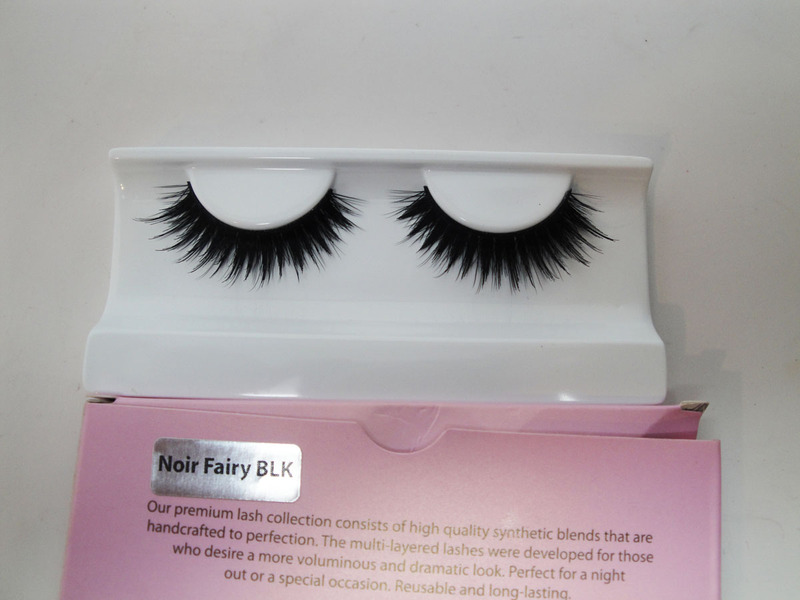 This is the lash I really wanted to get. It's so dramatic, loves it! It retails for $16 a pair, ouch right? I will point out that they are not mink lashes, just regular human hair. I haven't tried these yet but you'll be seeing them make their debut on upcoming tutorials and FOTDs. The 3-pack retails for $44 so you save about $6 total. Mind you, I got mine at 25% off on the sale. I will say that these are super unique. I love the density of them. Go big or go home right? Here's a shot of me wearing the Siren lashes. They were actually a perfect fit - I didn't even need to trim them. The lash band is clear so you won't have any problems with that. It felt super comfortable on. I will say, they were more natural than I expected. 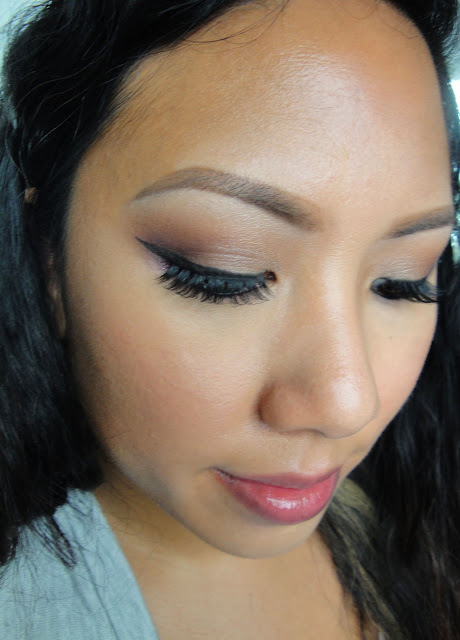 I do have a hooded lid though, so my lids tend to swallow up about 2mm of any lash I wear. That's why I usually show closed eye shots so you can actually see the lid in action. Are these lashes worth the price? I'm honestly not sure yet. I don't mind investing in my lashes, i.e. 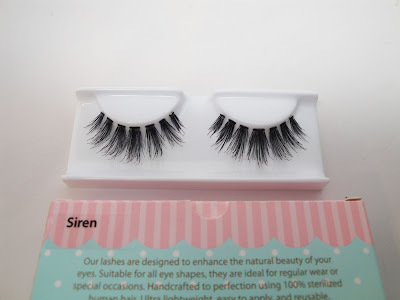 Mink lashes which retail for event more, however I'm still deciding whether these are better than the regular human hair lashes that retail between $2 and $5. So far I like them but I'll keep you posted! Have you guys tried House of Lashes? 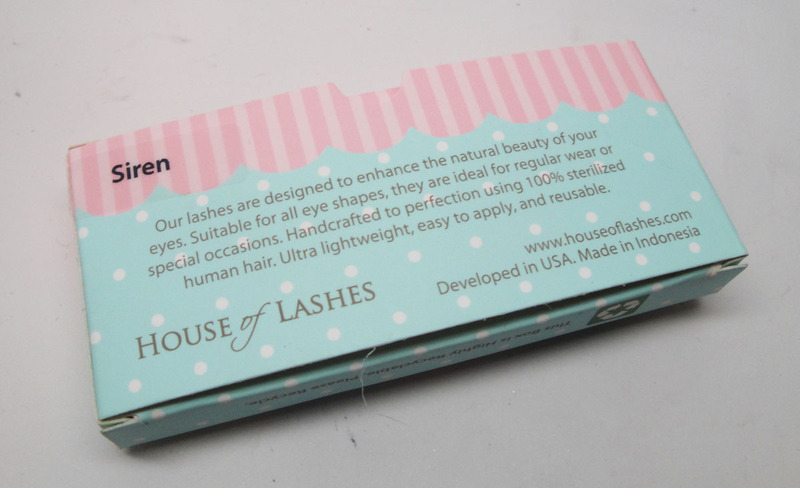 I still want to try their lash glue and lash case and maybe a few extra styles if you guys recommend them. Let me know in the comments below!